Hello everybody, and welcome to my very first Celestial Storm Post! As this set is above average in quantity of cards, I will be doing things a little different this time, splitting the set into around 15 larger posts! As a Stage 2, this card is immediately at a disadvantage in a very fast format. Unfortunately, even its Lysandre-esque ability is too weak and flippy to be worth using. 1.5 stars. This could prove to be a fun deck in expanded, with Trick coin and Fliptini to make sure your opponent never gets a hit in, but this card is still borderline garbage. 1.5 stars. Now here is a fun looking card. Single Energy attachments are always nice, and the fact that Alolan Muk-GX is a thing makes this deck so much cooler. It just might have a nice niche in the format. 2.5 stars. This looks like a very anti-meta card. With the ability to deny Ultra Beasts, this card could single-handedly take on several of the dominant decks in today’s format. It has a decent attack, and could go well with VikaBulu possibly. 3.5 stars. I like the look of this card, but being a Stage 2 with clunky attacks just won’t hold up in the current meta. I think this could be an interesting deck, but tier 4 at best. 2 stars. The only thing decent about this card is its Surprising Pattern attack, which is just Enhanced Hammer in attack form. If you really need the Special Energy discard, don’t waste deck space on such a useless card. 1 star. This duo of fireflies is not what you would typically call powerful. While Volbeat can to 120 for only one energy, the Illumise necessary for the combo will most likely be KO’d, which means it was not worth it. If it could take OHKO’s on GX Pokémon, it might see some play, but as of now, it’s really not happening. 2.5 stars. I wish I could say something nice about this card, but come on. It does 50 damage for 3 colorless energy. Not good, 0 stars. 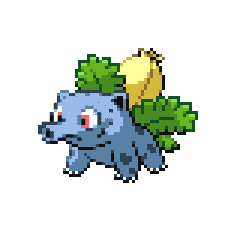 This is a much, much worse version of Alolan Vulpix. Why would you use a completely outclassed card? 1 star. I really, really wish Pokémon had decided to make this card good. I love Dhelmise’s design, and it has had a decent card in the past. Unfortunately, this is not one of them. If it had just 20 more damage on its second attack, it could work as a 180HP-GX killer in a Venusaur deck, but Genesect is just better in general. 1 star.